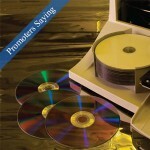 The CD writer and ripper was used for almost a decade, but since the introduction of the DVD, which has a larger capacity and storage space, it became the main portable device. Sure, there is always the USB stick, but you can’t make a movie collection out of sticks, don’t you? If you want to create a nice collection of DVDs, you will have to choose one of the next DVD rippers. Learn more, please visit the products page. HandBrake is a general DVD ripper, an open source with multi-threads and options. It is licensed by the GPL, being available for a large number of operating systems, including Windows, Mac OS and Linux. It also comes with a GitHub Mirror, which is appreciated by users looking for advanced features. Considering the number of features offered by the program, it has a small size, which is an important aspect, especially for people that own older computers. However, people are unhappy about its small writing speed, which is annoying, especially compared with the new DVD rippers appeared during the later years. DVD Shrink is another useful program that comes with many features, including the option of burning original DVDs onto recordable devices. You can create ISO images, and you can even integrate the recorder with Nero. The most important feature of this program, which is not available with other DVD rippers, is the capacity to shrink and copy large files on DVDs, a feature that you will need in case you want to burn Blu-ray files on DVDs. WinX DVD ripper is a fast ripper that can transform and burn a large number of files. It was designed for PC, and the latest version comes with more support for portable devices. However, an interesting feature is the capacity to rip encrypted DVDs without packing, which preserves the quality of the movie even if it is ripped with a smaller capacity. While the program can rip encrypted files such as regional codes, CSS protections and even Sony ARccOS, it can’t rip Disney-X protections, which is a setback, considering that other DVD rippers have this capacity. Format Factory is another interesting ripper, which can transform CDs and DVDs into ISO images. It can convert a large number of files and formats, including video to video and DVD to audio. It also comes with support for 60 languages, being appreciated at an international level. It is also perfect if you need to rip a DVD into a format accepted by a mobile device, whether we are talking about an iPhone, or about an Android device. Aimersoft is the last addition to our list of performing DVD rippers, as it comes with all the features needed by users, free. The program has a paid version that would allow you to rip protected files and DVDs, but for a beginner, Aimersoft has all the needed features. If you are a beginner with burning DVDs, you can consider installing the free version, and once you are accommodated with the program, you can get to the paid version of the program.